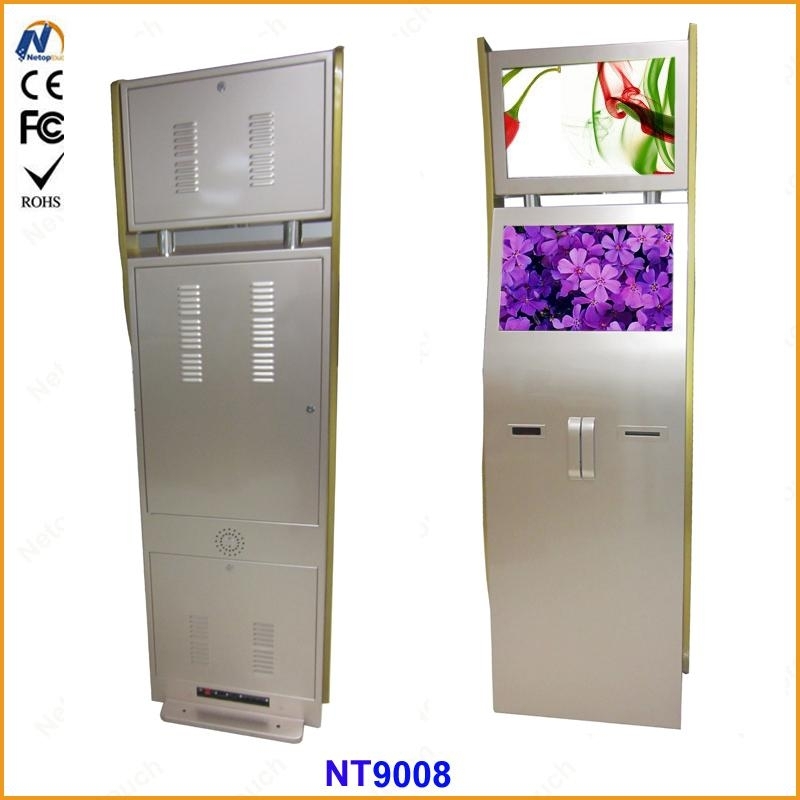 The touch sreen kiosk generally includes a touch screen, a display, a computer, a sound device, a power supply device, and a touch cabinet, and should also have a power input device and various network interfaces. 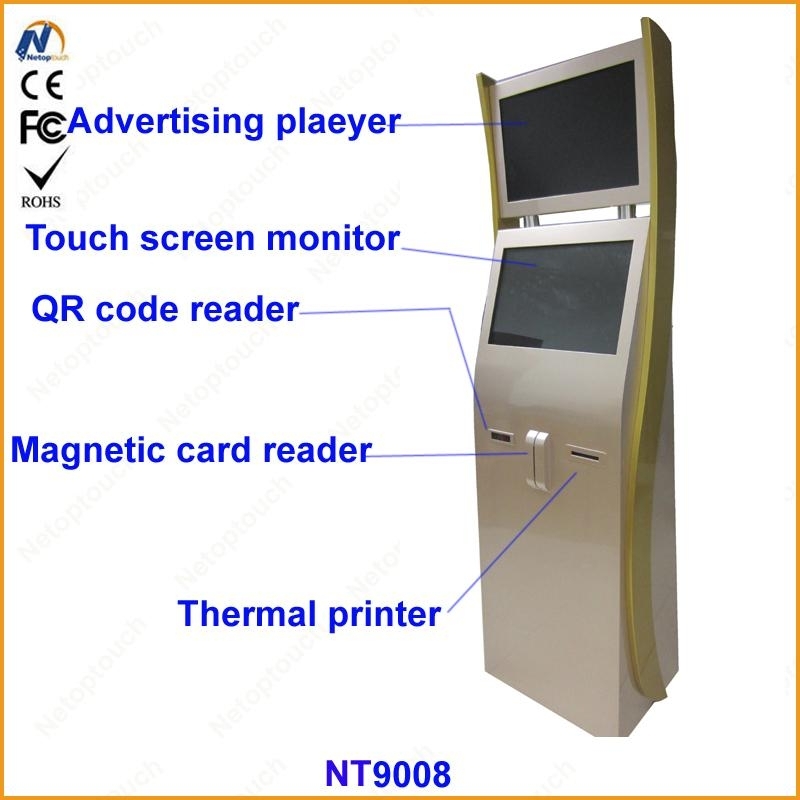 If customers need customization, they can also add various types of function modules: Bluetooth module such as networking function, 3G module, Wifi, built-in network card, etc; printing ticket printer, label printer, file printer (A4), card printer, etc. Photo printers, etc. 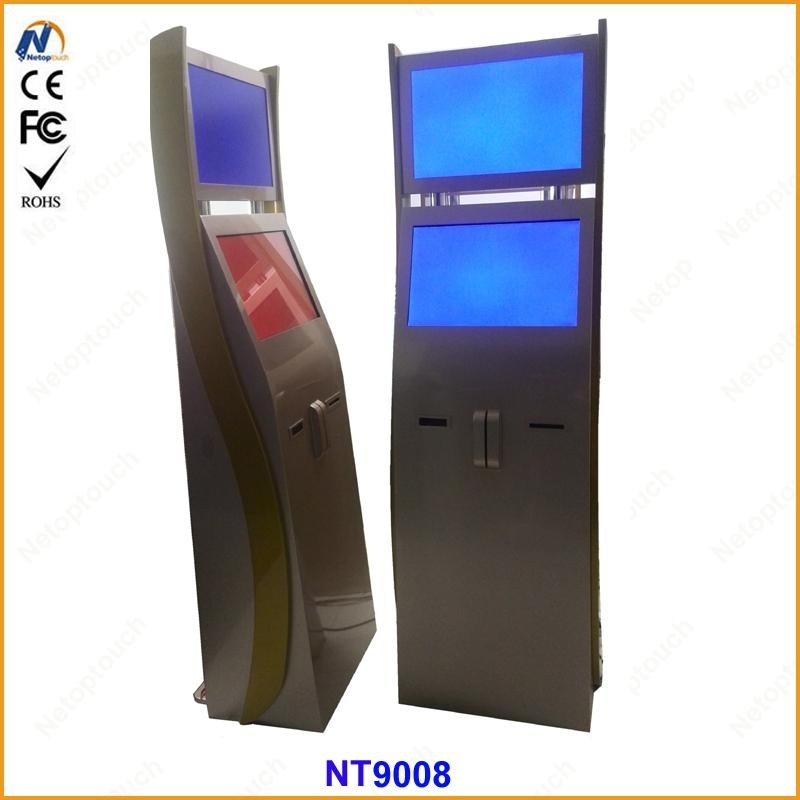 Scanning function bar code scanners, two-dimensional code scanners, passport scanners, etc. Input function of ordinary plastic keyboard plus mouse, full metal keyboard plus touchpad and so on.